I always feel like putting on a fancy apron and spending my days baking at this time of year. 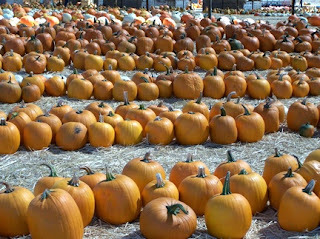 I think of rich deep Fall flavors - pumpkin, sweet potatoes, gingerbread, cinnamon, pecans - yum! This is the time of year I love to make all kinds of breads, pies, soups, and sauces and just enjoy the richness of it all (and workout!). In the past I have tried working with new healthier ingredients such as brown rice syrup, buckwheat flour, and coconut oil. I still continue to try and find healthier alternatives to create new dishes and baked goodies with. a organic gluten-free butter substitute. It has become the perfect compliment to the dishes I have been making - not to mention a new component to my baking and cooking. Oh how I love the added benefit Melt brings to the table by incorporating healthy cooking oils into my dishes. Since receiving some samples, I have fallen in love with Melt (not to mention the song 'I'll Stop the World and Melt With You" - one of my faves from my younger days - plays in my head every time I see it). It has a whipped creamy buttery yumminess, but it is better for you, made with virgin coconut oil, flax seed oil, palm fruit oil and canola oil. It is a healthy gluten-free butter and supports digestive wellness, optimal nutrition absorption and healthy weight. I have tried Melt with great success. that is going on right now...through through October 31, 2011! dinner party from Rich & Creamy Melt® Buttery Spread! Enter to win a chic, foodie evening-in with friends from Rich & Creamy Melt®, the great tasting, organic butter alternative that’s good for you. One winner (and the blog that referred them) will enjoy a $500 Mingle with Melt VISA giftcard with which to buy food, decorations, cocktails, cooking supplies, and maybe, the perfect little black dress, for your dinner party! Mingle with Melt! We'll also provide 3 packages of Melt and feature each winner's party photos and original recipes featuring Melt on the Melt Facebook page and website! This is a rich full bodied bread. It has a sweetness to it but it is not too "sweet." You can really taste the molasses and the fruits/veggies! My kids "eat it up!" 1 apple, cored and either diced or grated (I got lazy and after coring threw it in the food processor). Use some melted Melt to butter the pan and then dust the pan with the flour. Mix the Melt, molasses, agave/honey, (room temp.) eggs, and mashed bananas together. Voila...super yummy, totally healthy, kid-tested Banacarapple Bread! And top it with a spread of Melt...super delicious! Do you think your kids would eat bread with carrots in it? Next time I want to add some zucchini! $500 giftcard in the Mingle with Melt Sweepstakes! Disclosure: This is a sponsored post. I received samples of Melt Buttery Spread. Love all the healthy ingredients hidden in this bread! It sounds great and guilt-free!